Debra McGinnis was using the Stampendous Jumbo Leaves at the Artsy Market... and I said to myself, I have that stamp set, so pulled them out and made a couple of autumn cards using my electronic cutter as well as some of the newest calligraphy stamps from Quietfire Design. I'm also using the newest Pan Pastels "Pearlescent" colors. Love them. I demoed them at the Artsy Market last weekend, making backgrounds for my calligraphy. Had lots of fun. You have most definitely been on a roll! So many beautiful cards in so short a time. Amazing! What a lovely cards!!! Beautiful colours ...Thanks so much for playing along at CCCB!! Great designs! Love how you showed off those fabulous leaf images. Thanks for joining us for this week's Color Throwdown! Such lovely cards Yogi ! Beautiful fall cards, Yogi! We're so glad you shared them with us at the Simon Says Stamp Wednesday challenge! Beautiful cards! I love fall and you have captured the lovely colors so well with your coloring. Thanks for playing in Squigglefly's challenge! Your first card is my favorite. 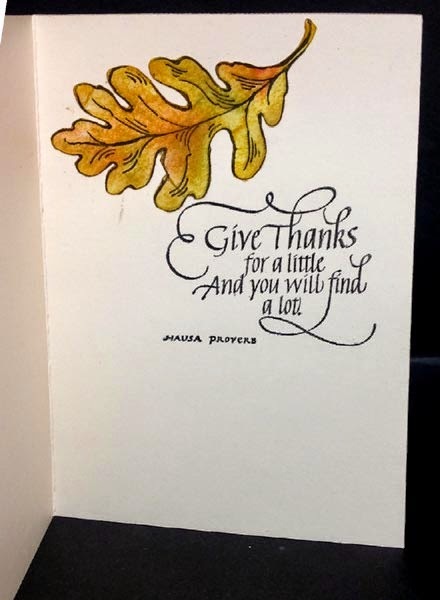 I love the layered leaves and that beautiful sentiment. Thanks so much for joining us at CCCB! Absolutely beautiful! Thanks so much for joining us at Simply Create Too. Great take on the challenge, thanks for sharing with us at CCCB! Such pretty cards. Love the colorful leaves. They are beautiful. The textured card stock looks awesome on the second card. Thank you for playing along with us at The Color Throwdown. 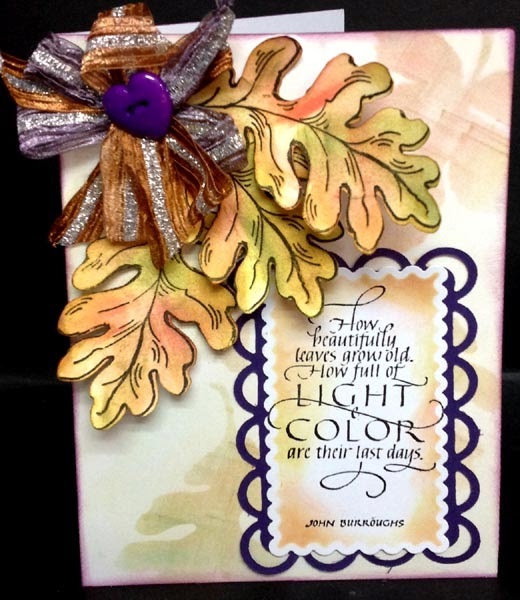 Beautiful autumn cards and I love the way you've decorated inside. Thank you for entering the PanPastel Challenge and good luck. Gorgeous designs...those leaves are beautiful! Thanks for joining us for the Color Throwdown. 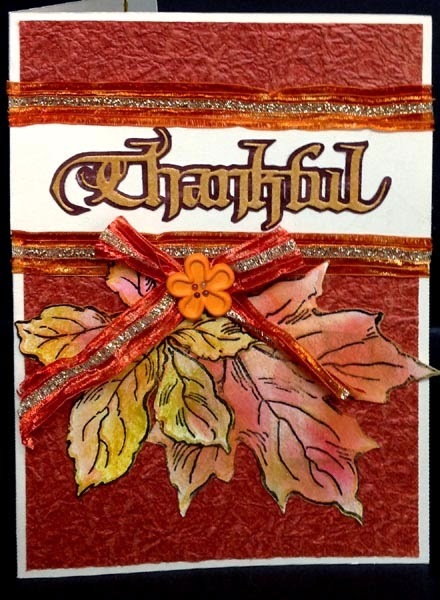 Gorgeous colours in your Thankful card. Thanks for joining this week's Giving Thanks challenge at Little Red Wagon. Yogi: Your Fall card is beautiful [as usual]--I always enjoy your creativity. Thank you for joining us in our "Halloween [or Use Lots of Orange]" Challenge #73. Hope to see your entries in our upcoming challenges too! Your cards are very pretty! Love those leaves...they turned out great! Thanks so much for playing along with us @ Inky Impressions & Simply Create Too...hope to see you back again for our new challenges!!!! !